Arnold Mitchell (1929-2014) played in every position, including a stint in goal, but was best known for his defensive roles. He made 495 League appearances, scoring 44 goals, and is still Exeter City FC's all time record appearance holder. He first played for Derby Country in 1948, then Nottingham Forest in 1950, Notts Country in 1951 and then ECFC in 1952. 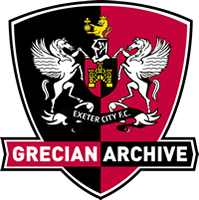 He was a much loved player and captain, and a key member of the Exeter team that won promotion for the first time in the club's history in 1964. 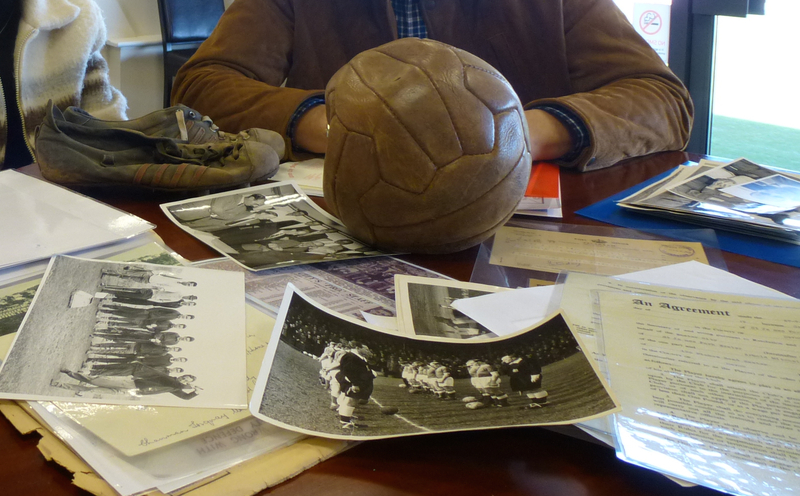 During his time at Exeter, Arnold was a great collector of things related to his career and the club, and his family has kindly lent his archive to the Trust so that the items can be recorded and shared. The fascinating collection, which reveals a great deal about football in the 1950’s and 1960’s, includes contracts, correspondence, photographs, newspaper cuttings and even a 1953 telegram from Manager Norman Dodgin, asking Arnold to phone him that night. He wanted to make sure Arnold re-signed for City! The collection also contains an old football presented to Arnold, and the pair of boots he wore in his last ever City match away at Reading on 18 May 1966. The boots have never been cleaned since the game and are still cased in mud.